Halls cough drops sticks 20ct honey lemon. There are 9 cough drops per stick. 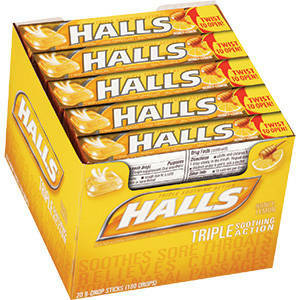 Sooth your throat with Halls!